German developer InnoGames boosted its mobile revenue by 37 per cent in 2018 as it claimed record overall sales for the year. The studio operates across PC online and mobile platforms. While it did not specify sales numbers, the developer reported an increased EBITDA margin for the year. InnoGames’ most lucrative markets proved to be the US, Germany and France. Mobile represented 50 per cent of earnings in the US market. The company’s mobile portfolio includes titles such as Forge of Empires, Elvenar and Warlords of Aternum, the latter of which it acquired from Wooga. The studio said it has more titles planned and will continue to support its current roster of games. “Our vision is to create games that players around the world can enjoy for years. 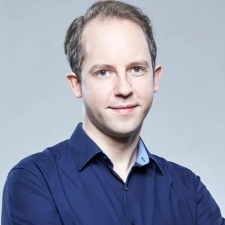 2018 was another outstanding year in our journey,” said InnoGames CEO Hendrik Klindworth (pictured, main). "The keys to our success once again were our great games and the teams behind them. We are especially proud of our strong growth in the mobile market and I want to thank all our players and everyone who contributed to this achievement.